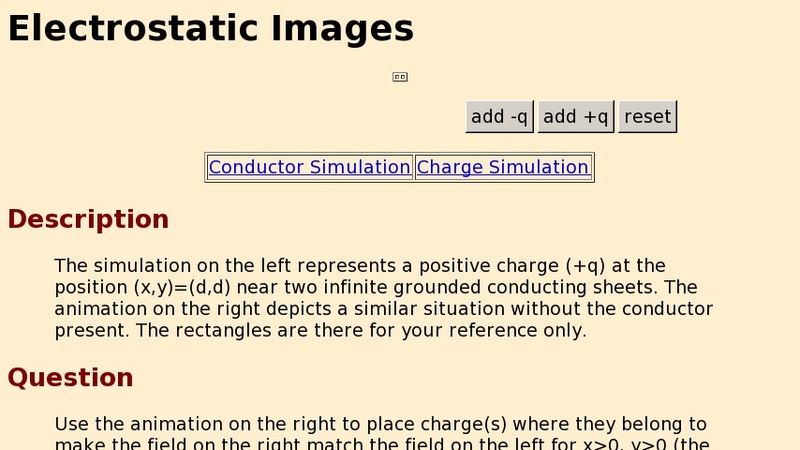 The simulation on the left represents a positive charge (+q) at the position (x,y)=(d,d) near two infinite grounded conducting sheets. The animation on the right depicts a similar situation without the conductor present. The rectangles are there for your reference only.